My husband happened to get a very large hole in the bum of his shorts recently, so I had some fantastic khaki material to work with by upcycling them. These pants are the perfect project for any upcycled pair of pants or shorts – jeans included! In fact, I have another pair of shorts that happened to get a hole in the VERY SAME PLACE as these khaki ones did – right near the pocket (how does he keep doing it? I have NO idea!!! ), and I will turn those into yet another pair of pants for baby! Made fully lined for extra warmth these colder months, and with a comfortable cotton waistband so as not to irritate baby’s belly! They just fit so comfortably, unlike so many pairs of store bought pants that always seem to look or feel so tight. And they look professional thanks to the upcycling of the original hems and any other pieces you want to salvage and reuse. But you certainly do not need to use an old pair of pants to make these – any material will work just fine. 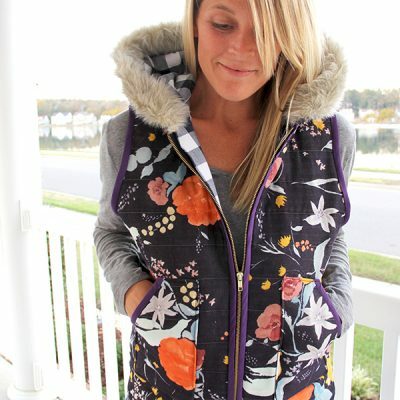 For a free 3 – 6 month pattern, click HERE. This pattern has since been updated with more sizes. For the 6 – 12 month pattern post, click HERE. Need a different size? You can really use almost any pants pattern, all you need to do is remove the waistband from the main leg pattern piece, as well as add an additional 1″ to the inside leg seam. Cut your pants pattern on the fold of the outer leg seam. Cut (2) of each leg piece – one for exterior fabric, and one for lining. And lastly, cut out a waistband the same length as the top of your pants, and double it in Width for folding over. Also – if you are making jeans or using a heavier khaki, you will want a stronger / thicker needle. First cut out all of your pattern pieces. Use as many of the original pants features as possible (hem, and outside leg seam). We will start with the cargo pocket. Cutting out a rectangle of fabric, finish all raw edges with a zig zag stitch. Turn under all edges towards the wrong side of fabric and edge stitch. If you want to add a button, do so now. 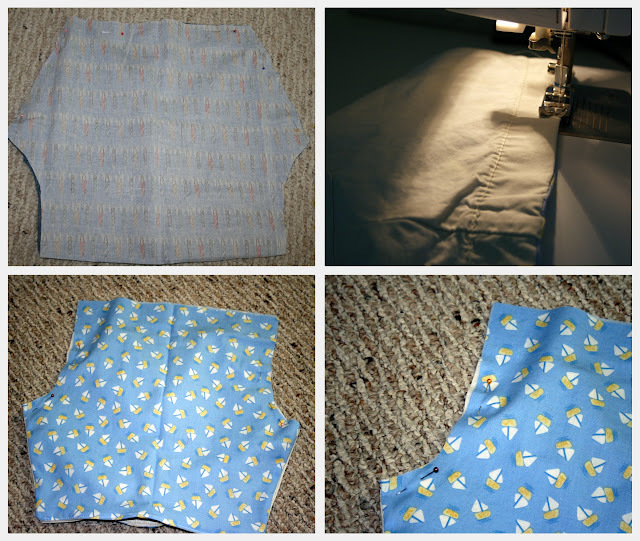 Pin the pocket onto the outer leg seam in the center of pants, and sew around the side and bottom edges. Take the lining and exterior of the pants and place right sides together. You are going to pin around the BOTTOM leg of the pants (the pic is upside down here). You are NOT pinning the crotch seam! Sew together. Turn pants right side out and Press. Edge stitch the very bottom hem of your pants. Now we will be sewing the crotch seams together. 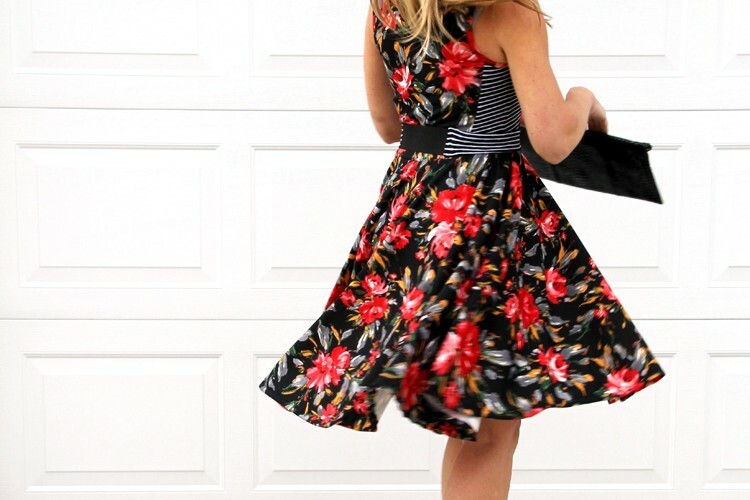 Pin along the curve at both sides and sew. Serge or zig zag stitch the seam. You should now have something that looks like this when turned right side out. You can use either snap strips, like the ones in this photo, or individual snaps. If using individual snaps – you can use the markings I have in my pattern piece, or just make your own. Pin one side of the snap strips to the EXTERIOR fabric inside leg seam, and pin the other side of the snap strip to the LINING fabric inside leg seam. Sew on using your zipper foot. You are in the home stretch now. Take your waistband pieces and place right sides together. Pin and Sew at the sides. 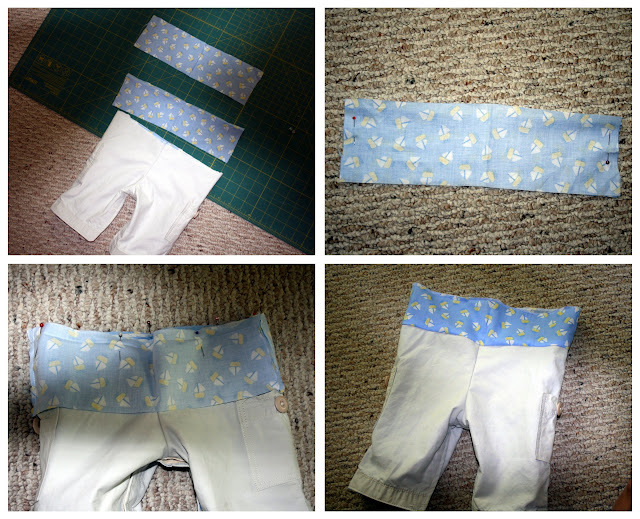 With fabric right sides together, pin the waistband to the top of the pants and sew. Fold waistband upwards and you will have what looks like this. 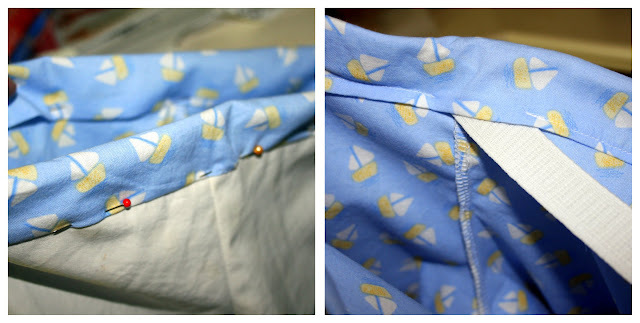 Fold under the top of the waistband edge towards the wrong side of the fabric 1/4″ and Press. Fold waistband again in half towards wrong side and Press. I like to pin along the outside of the pants, thereby I ensure that I catch the inside waistband edge. Then I sew what will look like an edge stitch along the top of the pants. Sew around, leaving a 2″ opening for inserting the elastic in the back. Insert elastic using a safety pin, being sure not to lose either end in the waistband opening. Once it is all through, sew elastic together securing it, and close up waistband opening. And that’s it! They are actually really easy to put together once you get the hang of it. You can whip up loads of them in no time at all! I like to sew a little button on the front of each waistband when I am finished. This helps them to not only look a bit nicer, but also helps me to differentiate front from back when putting them on baby! And there you have it, the Baby Boy (or Girl really) Snap Cargo Pants! Your baby boy outfits are so adorable it makes me wish I had another baby boy. My boy is 17 and I had three more daughters after him. I enjoy your blog a lot! Thank you for these lovely tutes from a grateful Grandma. Came across you blog through google. It is so simple and easy to follow. I will be making a lot of these for my two boys. One isn’t here yet, still cookin’, and my other is 6. I am actually using an old flannel shirt and one of my older boy’s shirts for my soon-to-be newborn to make my first pair. Super excited! You made the scary task of pants not so scary to me…Thank you!! Love this! I might hv some old jeans lying around, in need of some new ideas for my 8 month old n this is a great tute! Thanks for sharing! Got it all figured out and WOW did they come out CUTE!